Color a lot at times seems to be an area that many people tend to freeze up and get scared. At least this is what I have experienced from some of my clients when I meet with them for the first time. What I hear most of the time is… I’m not sure what color is right, or what color to pick that’s going to go, and once the color is up, what if I do not like it, then what?? This is just a small fraction of what I have heard over the years from clients. I bet some of you can add to this list on color as well. Colors come in all shades, and depths. The lighting in your room plays a huge role in what your color will look like, creating certain shades,and tones. First when starting, look at the space as a whole. Then decide what you will be working with as a focal point, it may be a beautiful piece of art, or a gorgeous palette of colors to choose from in your oriental rug? Don’t just pick a color right away. Colors represent moods and how it makes you feel. It’s best to start off eliminating colors you do not like off the bat, that’s your first instinct to go by. Then select the colors you do like, and why. You can’t make yourself like a color if you don’t, or by picking a color that represents your designer. This is your space, and you have to love it. 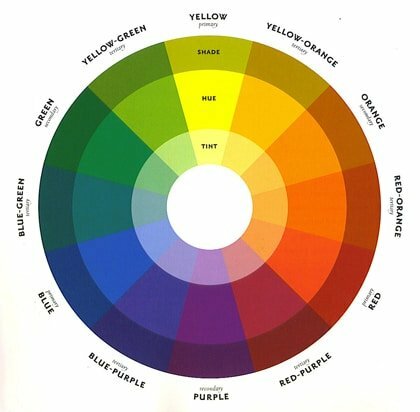 Colors represent certain moods, and how it makes you feel. We all have different taste, and personalities, that’s what makes it great. It’s an exciting experience to find your style, and mood for the room that makes you or family feel wonderful! So don’t be scared of color be adventurous! Next step when selecting your colors you do like, do paint samples on boards. Try not doing samples on your wall why, because the wall does not move with the light, but the samples do…This way you can move it around the room to see what effects you get. Take look at the the samples not only during the day but the evening also. This way you can tell how the color is working in the lighting. Your designer becomes very helpful in this process if you are working with one or more colors, especially if it’s where you’re entertaining and the rooms are being opened to one another. You may have a gift and eye to do it yourself. Remember it’s important for colors to balance. You want your colors to have continuity and to flow nicely into each room having a sense of balance. People who know nothing much about color can feel it when walking into each room, that something seems off, and not balanced. Working with color is exciting, and it’s all around us! Exploring in nature,birds, flowers,plants and don’t forget those beautiful colorful creatures of the sea, here you will surly find many glorious colors. When surrounded by colors you love, there’s no better feeling!! Have fun and get adventurous!